Whatmicrowave.com is dedicated to bringing you the best microwave oven reviews so that you can make an informed purchase before parting with your hard earned money. Despite having a compact size, a microwave has a large part to play in your kitchen activities. Whether you’re heating up leftover food or cooking a ready meal, you are sure to need a microwave oven. Arguably, it’s one of the first appliances that you should purchase when setting up a kitchen in a new home. Without a full size convection oven, it’s the quickest way to ensure you can still provide hot food for your family. Our microwave buying guide should give you some ideas on what will benefit your kitchen and family the most. Due to its important role, you may want to consider which microwave you purchase carefully. It’s not a life or death decision by any means, but it is useful to know you have one that functions as you need it to. Without further ado then, here is our complete microwave buying guide. Let’s start by looking at the various types of the microwave oven available. You might not be aware that there are three typical variations of the microwave for residential use. First up in our microwave guide is the solo microwave. Consider this your most basic microwave oven, perfect for those little tasks around the kitchen. For instance, you can use a solo microwave to heat up a delicious cup of hot chocolate. With a solo microwave, you can perform smaller heating tasks without turning on your main convection oven. As such, you’ll be able to prepare your food faster and use less energy. You can defrost, heat and reheat any food you like in a solo microwave. However, you won’t be able to perform oven tasks such as grilling or baking. For a job like this, you’ll need a different type of microwave. The good news is that solo microwaves are considerably cheaper than the other types. You tend to find them built into older kitchens. Checkout these solo microwave reviews. If you want to make some toast to go with that hot chocolate, you’ll need a microwave with grill. Grill microwaves, as the name suggests, are capable of browning as well as roasting food. As well as being brilliant for basic heating jobs they can also be used for a few different purposes. For instance, you could heat up mac and cheese, browning the top layer. Usually the unit will include 1 or 2 wire metal racks that lift the food closer to the source of heat. It’s fair to say that the resulting food looks more visually appealing because of the browning aspect. Perhaps the most flexible of the 3 types is the combination or combi microwave. This can be used just like an oven to cook food how you like when you like. Combi microwaves often come with the largest price tag but might be worth the extra cost. Particularly, if you hate having to wait for your food to be prepared. With a combi, you can get your food a little quicker because you don’t have to wait as long for the oven to heat up. Firstly the microwave is smaller but also because this type of oven combines both microwave and convection cooking in one. That 4th of July turkey just got cooked a whole lot quicker. Some Panasonic Inverter Microwaves include both a grill and a convection oven for ultimate flexibility. Checkout these combination microwave oven reviews. A fourth type of microwave for commercial kitchen use is the industrial microwave. The design of a heavy duty microwave is less focused on look and feel and superficial elements and more on raw power a well as being able to stand up to volume cooking cycles. Durability and build quality is paramount and these units tend to be of metal construction that is not just skin deep. A residential microwave might get used at most 5 to 10 times per day where as a microwave in a professional kitchen might be used up to 200 times. Everything about the design needs to be more robust and the controls need to be simpler where speed of food delivery is important. There is lots of choice on brand for your new microwave. Whatever the brand it should come with a decent guarantee or warranty if the company is reputable. Consider American brands such as Whirlpool, Sunbeam and GE and the Japanese giants like Panasonic, LG and Sharp. All of these have great reviews and customer feedback on sites like Amazon. In general you’re better off spending as much as you can afford on a quality product, it will pay dividends in the long run. Have you ever wondered what the numbers on your microwave mean? Look at a microwave control panel and you may have seen numbers like 800W or 1000W. These reflect the level of power that you’ll be using when cooking. The higher the level of watts, the more power you use and subsequently the quicker the food cooks. That might be fine for reheating purposes but for some foods a slower, less powerful approach is required. The highest wattage on a microwave for home use (Oct 2016) would be around 1200W. An impressive level of power for sure and one that will allow you to cook your food quickly. Heavy duty commercial microwaves for restaurant use, such as those from the Amana brand, go up to around 2100W. Besides using more or less energy, wattage will determine how long it takes for food to be prepared. In some cases, you might want to spend a little longer heating the food without burning the outside. To do this, you would use a lower wattage setting. Lower wattage settings are generally used for defrosting food. This will ensure that they are completely defrosted without being cooked before consumption. For microwaves, you need to think about what you are going to be cooking in it. A compact microwave will take most ready meals. Though you might find that some larger packages and containers won’t turn properly. This can be a nuisance and will mean you have to move the food over to another container. If you’re trying to defrost something, that’s not always possible because the food is stuck inside. In this case, a bigger microwave might be the best option. It also depends on how many people you are cooking for. If you live by yourself or perhaps you want something for a college dorm room you may want to opt for a smaller cheaper microwave with a capacity of around 17 liters. 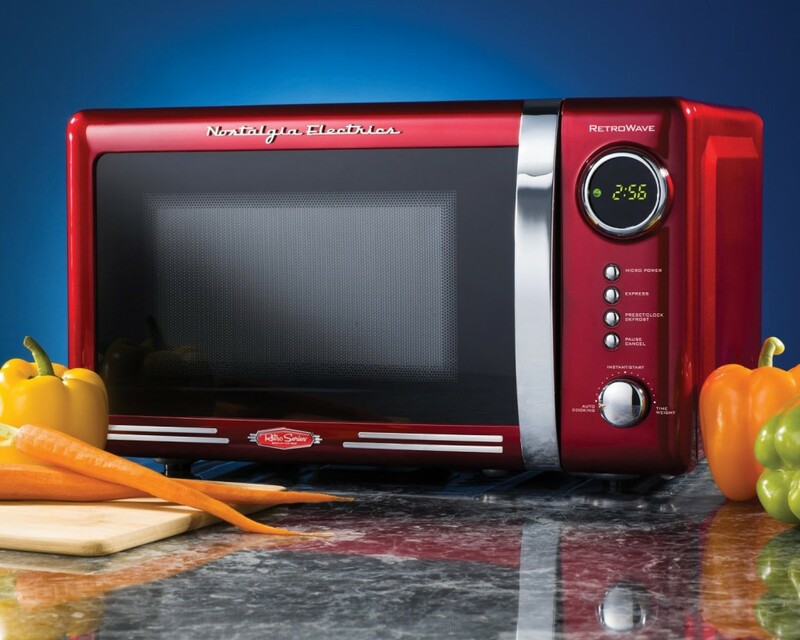 The smallest microwave we have reviewed measures just 17×17.5×17.5″ with a capacity of 0.5 cubic feet. This Whirlpool model will fit in any kitchen. You should be aware that larger microwaves can accommodate over 32 liters. At this size, you’re reaching the point where you’ll be able to cook a full roast dinner in just a few minutes. For a full family, it is recommended that you aim for a microwave that can store anything up to 28 liters. This will give you plenty of room to cook a complete meal for your family. It will also help you avoid issues with the turntable. Again, there are various choices you can make about where to put your microwave. This will affect the format of the microwave you purchase. 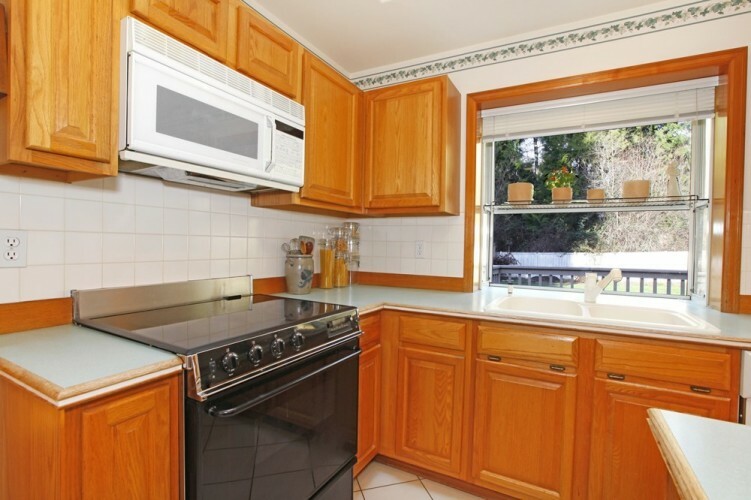 Some kitchens accommodate a built-in microwave, the first format type, which is useful. As they say, out of sight, out of mind and it will stop your kitchen looking cluttered. Another option is to install your microwave on shelves or over-the-range, the second format type. Or, you can purchase a portable microwave, the third format type and locate anywhere you like, most commonly on the countertop. Generally your choice will depend on the current layout of your kitchen and whether there’s enough space for your preferred option. A completely different option is to mount your microwave on a dedicated microwave stand or cart. These are generally mounted on castor wheels so the cart can be wheeled around as required. These stands often have storage shelves as well as hooks to store food or hang utensils, pots and pans. Alternatively a microwave wall shelf could be for you. 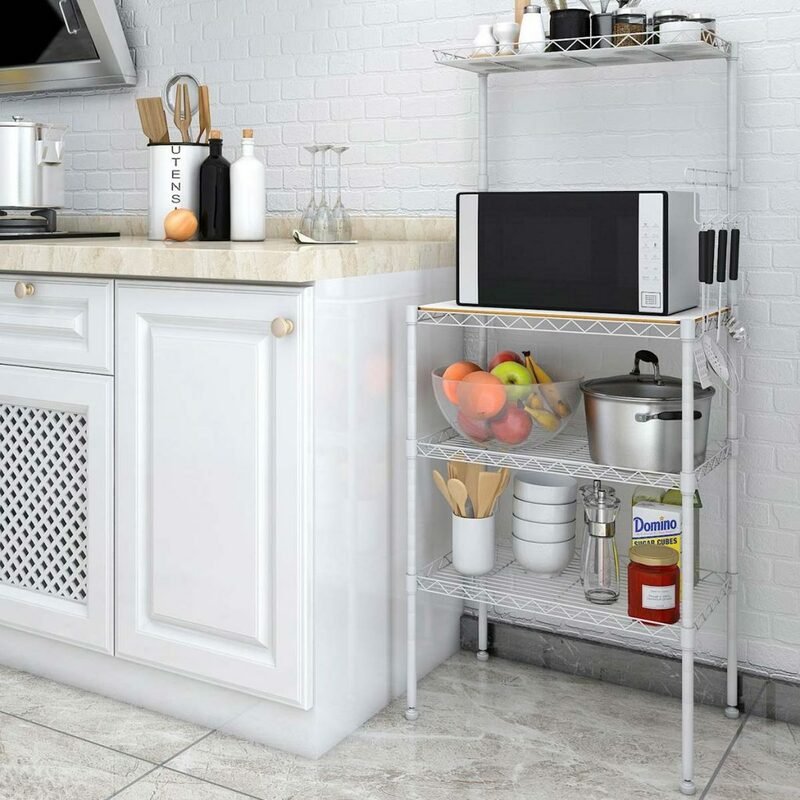 This will keep counter top space free for all the other consumer electronics your kitchen seems to gather. Microwave shelf’s or brackets are generally made of stainless steel or aluminum and like microwave stands incorporate hanging storage and sometimes a smaller shelf for herbs and spices. In the next part of our microwave buying guide we look at the all important look and feel. It is important to remember that your new microwave is going to be a key part of your kitchen. You need to be happy with the style and presentation and no doubt it will need to fit in with an existing theme. Starting off, there are different types of door hinges. Some microwave doors drop down like an oven. This is useful for larger food items and it may match your oven if your microwave is positioned above it. You can also choose between a variety of cosmetic materials and colors. Many modern microwaves, like those from Panasonic, are designed with a stainless steel or aluminum finish, but colors vary. You should select a color that matches the rest of the appliances in your kitchen or offers a nice contrast. You could even shape your entire kitchen design around the style of your microwave. Maybe go retro with 50’s Americana styling, large mechanic controls and finished in metallic red. There are plenty of options like this from the Nostalgia Electrics Retro Series. Yesteryear looks with all the convenience of a modern day appliance. Energy Efficiency – What Impacts It? A variety of factors will impact how efficient your microwave is. On the most basic level, it does depend what you are cooking. Larger items will take more time to cook and therefore you will use more energy. You may also find that different settings use more energy and some microwaves now have specific energy saver settings. It may also depend on the make of the microwave. Many modern microwaves use an inverter power supply, rather than an electric coil. This is far more powerful and uses a lot less energy. Generally speaking, if you want to minimize energy usage just select a lower wattage. But be careful that it is powerful another to fully cook your food. The humble microwave has been around for over 3 decades now. Grill and oven functions have been added, the number of finishes has been expanded and improved. Lastly the base price has come down drastically meaning more families can enjoy the convenience of this product. In essence though the heart of the design hasn’t changed in this period. Microwave sensor cooking is perhaps biggest development to hit microwave cooking in over 30 years. The likes of Panasonic, Sharp and more recently Breville have pioneered this development. For you and I it essentially means even more convenience. The microwave will adjust power, timings and even browning controls based on the food stuff that you put in it. Clever sensors sample the humidity and weight of the food and adjust controls automatically. This means less chance of ruining ingredients and therefore less waste. If you hate cleaning and maintenance, this is certainly a feature you’ll want to watch out for. The best convection microwave models are self-cleaning due to pyrolytic liners that prevent the buildup of food and grease. In pyrolytic cleaning mode the oven heats up to around 500 degrees and turns any food residue to ash. Simply wipe it clean afterwards. It’s nothing short of a dream come true for busy parents or anyone that doesn’t want to scrub the inside of a microwave. This is not a feature of solo or grill microwaves. Speaking of busy parents, you do want to make sure little ones don’t get their hands on the buttons. Luckily, new microwaves include safety locks to prevent this type of mishap. Our favorite new feature is chaos defrost. Not only does it have an awesome name, it’s incredibly useful. Small pulses of energy are used to speed up the time it takes to defrost food. Other useful features include programs specific for handling popular food such as pizza, popcorn and baked potato. Many modern microwaves have these options clearly labeled so that you don’t need to search for them. Some microwaves also come with a vegetable steamer program. Why waste money or countertop space on a separate appliance when you can get everything built into one? More basic features include the turntable and control panel. All microwaves have these features, but some are slightly different. For instance, you can get digital control systems or mechanical controls. Some are half and half. There might be a dial for the time and buttons for the program settings. Now, for a few tips on operating a microwave safely. Don’t forget to check that dishes are microwave safe before using them. Many dishes and containers are now clearly labeled. If you are unsure, it is best not to risk it. You could ruin the dish, damage the microwave or even burn your hands as non microwave crockery tends to heat up and absorb the microwaves rather than reflect them. Always check microwave times on ready food but don’t just rely on the packaging. The food needs to be cooked all the way through, and this is particularly important for meats such as chicken. Otherwise, you will be at risk of food poisoning. Also take note of the standing time show on food cooking instructions. This allows the heat within the food to spread more evenly. Lastly, always check the integrity of the door before using the microwave. Modern microwaves have sensors to ensure they cannot be turned on when the door is damaged. Older microwaves may not have this feature, and if there is any sign of damage they should not be used. Despite what food packaging might say, you can cook virtually any meal in a microwave. Whether or not it’s safe to do this or if it will taste good is another matter. That said, there are plenty of common foods you can cook in the microwave that will taste delicious. Generally speaking, any form of ready made food is intended to be cooked in the microwave. You can also cook plenty of hot foods that come in cans such as beans. 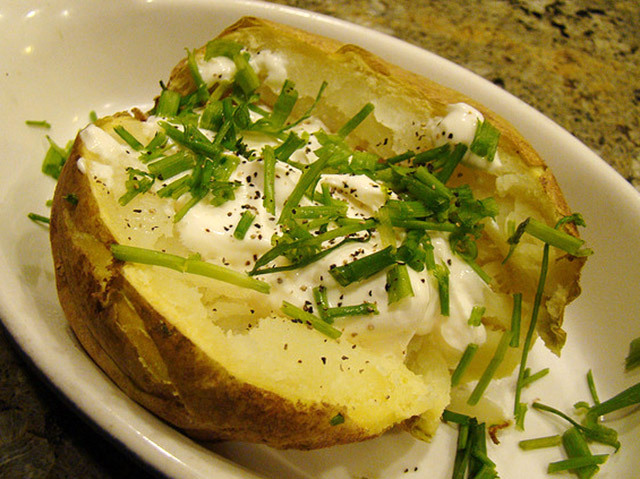 A delicious jacket potato is a perfect food for the microwave, and you just need to cover it with a piece of kitchen paper. This will trap the heat and ensure it is cooked perfectly. Or how about a nice corn on the cob while you’re waiting for the barbecue to cook your meat? Better yet, cook both in your grill microwave oven for a degree of browning. In order to stretch the cooking functionality of the humble microwave many aftermarket accessories have been introduced. These are generally aids to lifting, containing or helping to brown or crisp foods. 2 popular add ons for microwave users are rice steamers and popcorn poppers. They pretty much say what they do on the tin. We hope this microwave oven buying guide has shed some light on what type of microwave will suit your needs. Within our website there are plenty of microwave oven reviews that demonstrate all the options to choose from, we hope you have fun shopping for your new microwave.